The range of services at Limo Services Omaha is impressive. 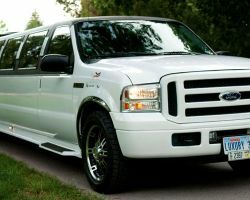 They provide some of the best airport transportation services in the state and their prom limos are unbeatable. This variation means that every customer will get the most experienced chauffeurs with highly maintained vehicles each and every time. With a guarantee of punctuality and their vehicles being in an immaculate condition, you can have the peace of mind that you need on your wedding day. 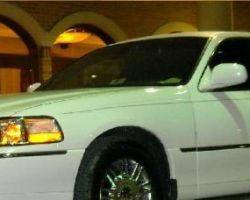 There is nothing more you could want for when you hire Limo Services Omaha. There is nothing better than a good old-fashioned family owned Omaha limo service. Being such a close team, Night Life Limousine is able to truly understand the most important aspects of the service that larger limo companies often oversee. With this knowledge they have made their service into an unforgettable experience. They do not just provide transport but see to every aspect of your journey. This means that your ride with them can become a special part of your big day rather than just getting from A to B. The team at Omaha Sedan & Limousine has thought of everything. That is why their wedding package not only includes a stretch limo to get you to your wedding but a ‘get away’ town car for whisking you off to your honeymoon after your reception. They know what couples need for their wedding day: to not have to worry about a thing. These professionals make sure that the transportation for your day doesn’t enter your mind even after the second you have booked. Arriving in style in the perfect prom limo, starting the party on the way out or searching for that elegant touch for wedding transportation, are all reasons that limousine companies are so sought after. 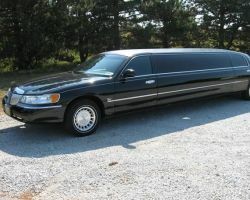 No other company providing limo rentals in Omaha, NE, is more fought over than Luxury Limousine. They strive to make you the envy of the town and the whole state as you arrive at your occasion in majestic style. They achieve this by combining stunning vehicles with service that is unbeatable. 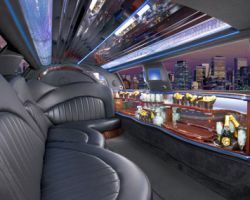 If you have ever dreamed of the most luxurious stretch limo whisking you away to the night of your life, then you are in luck. 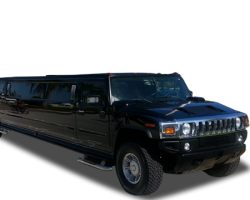 At Tailored Dreams Limousine they are dedicated to making dreams come true. Although this means that their service isn’t cheap, you still won’t believe what you get for your money. With shining testimonials from a whole range of past customers, you can be assured your wedding day transportation will be of the highest quality possible. At VIP Limousine they know that sometimes you are in need of a ride at the last minute. Whether you have been let down by a less reliable limo company or you have decided to spoil your date, they are on hand twenty-four hours a day. They have the vehicles to match the luxury of any event and professional chauffeurs who are at hand throughout the day. The best part of their whole service is that their prices have remained some of the most competitive in the country. 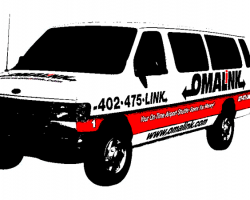 As one of the best limo services in Omaha and the whole state, OmaLink has perfected its service over many years. They know that sometimes we need transport for simpler reasons than an extravagant celebration so they are available for basic transport needs. What this means for people looking for wedding transportation is that they have the most affordable rates in the whole of Nebraska. They might not have the most lavish fleet of vehicles but they will assist you in finding transportation that fits your budget. 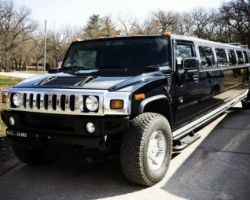 As a proud local company offering limo rentals in Omaha, NE, Go Limo and Shuttle is a limousine service provider that you can trust. Their team has a collective experience of over twenty-five years in both transportation and logistics. This means that they are able to deliver in a professional manner every time you ride with them. 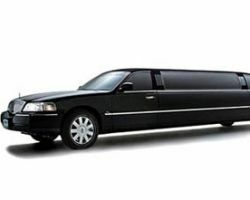 They are available to provide transport for a wide number of different occasions. Whether you need a beautiful car for your wedding or simply want to celebrate, then Go Limo and Shuttle is there for you. This company developed itself based on tourism, which means that they have their focus solely on customer service. For instance, they can provide chauffeurs who speak a range of languages and will dress to match any style of event. This is just a small insight into how much Omaha Tours is ready to accommodate. They have extended their impeccable service to weddings and all other forms of transportation. All of this is also offered at some of the most competitive prices in all of Nebraska.